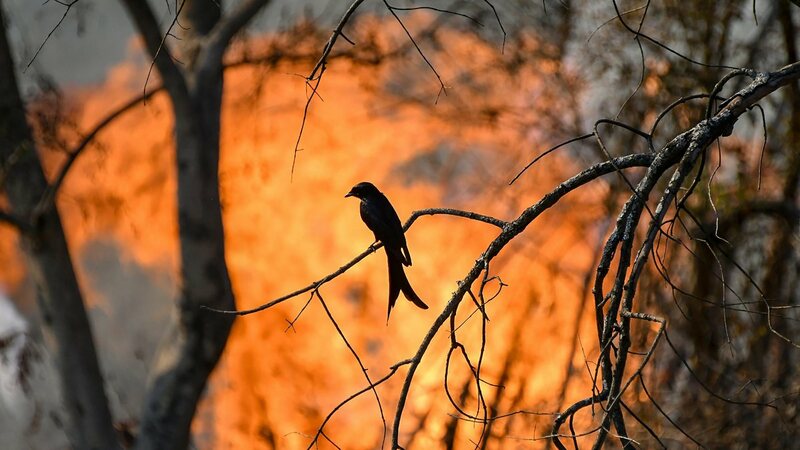 Bengaluru: A Forest Survey of India report based on incidents in January 2019 has found that Karnataka was the state with the most number of forest fires in the country. The state forest department has questioned the data used for the analysis, but at the same time, has also said that forest fires are a matter of concern. 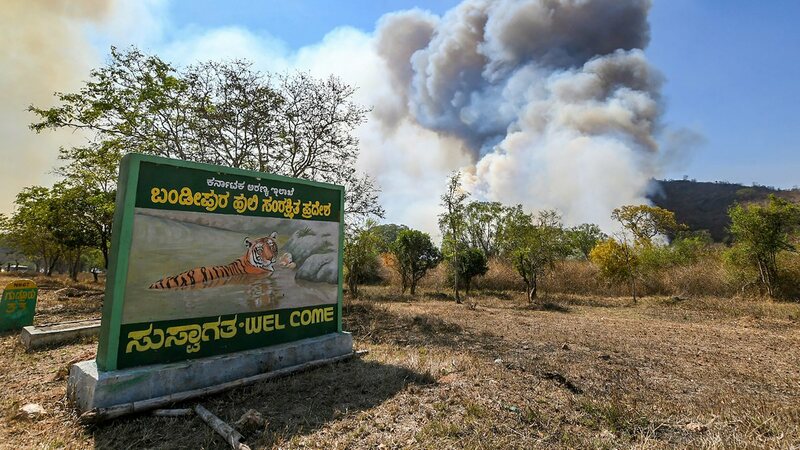 The most recent incident was a major fire that started last week in the state’s Bandipur Tiger Reserve which destroyed thousands of acres of land and wildlife. However, Dikshit added that “in the month of January, there were four major fires in Karighatta, Charmudi, Bandipur and Davangere”. The dry months of February and March are when the department is required to be at its most vigilant. In fact, Bandipur itself had witnessed the death of a forest officer in 2017. Karnataka is home to vast tracts of trees with resin, and doesn’t witness high wind velocity. So, a naturally-occurring spark and rapid spread due to wind can be ruled out as a major reason for forest fires. And yet, the state witnesses uncontrollable fires because of human activity — in Dikshit’s words, due to “mischief or mistake”. “Sometimes, wild fires happen because people have decided to commit them as retaliation against the forest department,” he said. Practices like stubble burning, slash-and-burn methods of cultivation, camping inside forest areas and even preventive methods adopted by the forest department like drawing fire lines — clearing patches of forest area to curb the spread of fires — have led to fires. 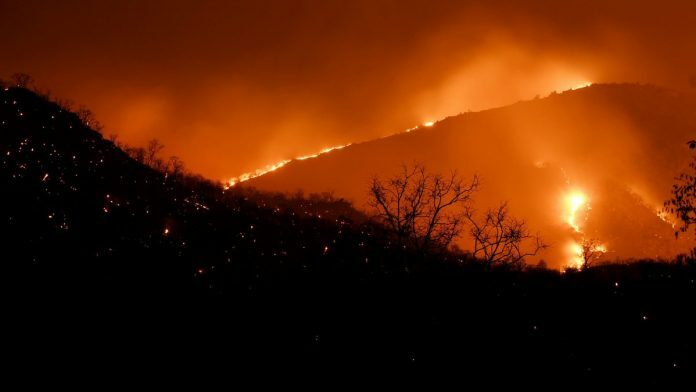 “The fires are uncontrollable… They extend up to 25-30 feet in height, and when tall trees fall to the ground, they set fire to a distance that’s equal to their height,” Dikshit explained. What can be done to curb them? Awareness is the only way to curb forest fire incidents, and a conservation group called Wildlife First has been conducting fire awareness campaigns in Kodagu (Coorg) for the last two decades. Led by former forest office K.M. Chinappa, the volunteers in the group travel to remote, rural sections of Kodagu that are surrounded by forested areas and talk to the children in various government schools across the region. The 2019 campaign was conducted over a period of three days in January, where interactions were conducted with about 17,000 students and 900 teachers across 120 schools from three regions in Kodagu. Also, two rallies about fire awareness were conducted in Madikeri and Gonikoppal. With forest fires, time is of the essence because once the fire spreads, it is very difficult to douse it. So, immediate information in the form of first-hand reports is vastly useful. Additionally, the volunteers also address other issues with respect to forest and wildlife conservation like hunting practices, unauthorised logging, etc. 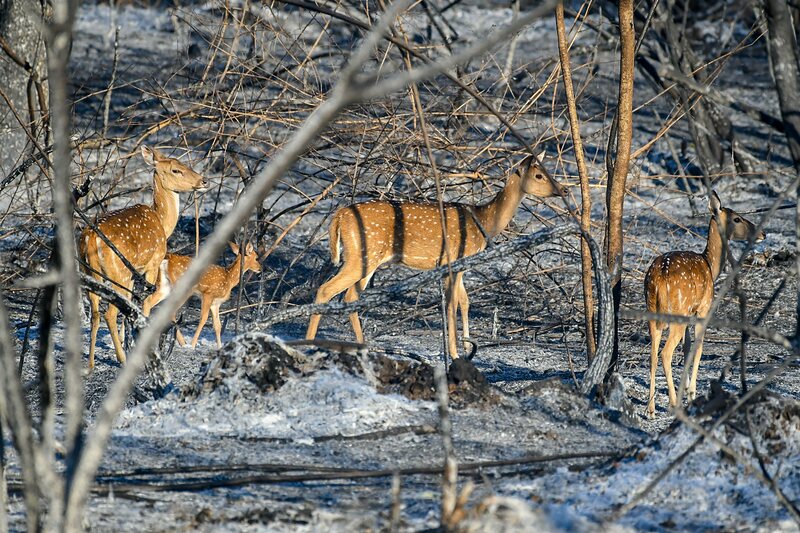 “Enlisting the support of local communities through well-planned sensitisation programmes creates a good second line of defence and bolsters the fire prevention efforts of the forest department,” said Praveen Bhargav, managing trustee of Wildlife First. Asked about the methodology of assessing forest fires, which the Karnataka forest department questioned, Bhargav said independent satellite-based monitoring, with high resolution sensors, advanced algorithms and night-time data with a reported accuracy of over 70 per cent, is extremely important both for near-real time assessments as well as post hoc analysis. Overall, instances of forest fires are under-reported, and this “is an institutional challenge”, said Bhargav.